Sedentary lifestyle, binge eating, hormonal imbalance, and stress – all these factors trigger unwanted weight gain. With no time to follow a healthy diet or exercise, obesity has become a global problem. To help you break free from this unhealthy chain of fats, you need some professional help. Here is a list of top 9 weight loss clinics in Chennai which will help you to get rid of those excess pounds safely and effectively. This weight loss center in Chennai is the brainchild of Dr. Sunita Ravi. Professionals at Life Alive are committed to provide safe weight loss programs. The clinic offers a combination of various programs that is aimed at helping those who are struggling with their excess weight and related issues. Some the life-changing programs offered here include US-FDA approved Zerona, medical weight loss, and Human Chorionic Gonadotropin (HCG) diet. Contact Number: Phone: +91-9840550065, 044-28156573. Established in the year 2000, La Belle adheres to international standards to meet customer requirements. With a vision to transform lives, a panel of experienced doctors and professional nutritionists run La belle Bodycare Pvt Ltd. Today, it is one of the most trusted slimming brands in South India. Its specialized services include body toning, gel lyoplytic therapy, tripolip slim therapy, inch loss, and customized weight loss. Managed by a set of qualified and dedicated professionals, Qua Nutrition weight loss program in Chennai offers guaranteed solutions that will help you look slimmer and younger. The nutrition plan and supplement strategy devised by the nutritionists here are chartered to meet individual body chemistry and metabolism requirements. According to them, every person and his/her body has a different requirement and hence, the solutions offered should be customized for the best results. Rishitha’s Slim & Caare centre offers health, fitness, beauty of mind, body, and soul solutions in sync with nature. Check out for their vacuum therapy, tapping, toning, and skin tightening, and part reduction. These therapies not only help you to fit into that old dress of yours but also to be healthy from within. Lifeline Multi Speciality Hospital is a landmark tertiary care health destination managed by Lifeline Group of Hospitals. With state-of-the-art technology and excellent manpower, it claims to offer sophisticated, affordable, and specialized medical care. The key services provided include bariatric surgery, abdominoblasty, liposuction, and malabsorptive procedures. 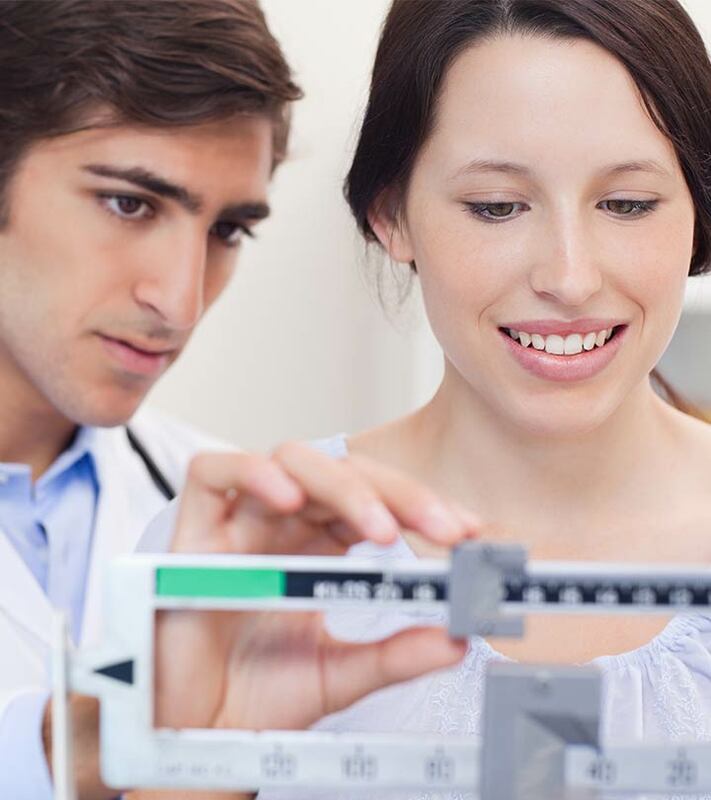 Meygam provides professional consultation, examination, general lifestyle advice, individual dietary plans, and personalized treatment programs for weight loss. They also claim to render a 7-day complete makeover in terms of body shape. The USP is the attractive weight loss program that requires no surgery, medications, and if free from any side effects. Started in the year 1999, Uni Slim Care is much more than just a health club is. It is a family-friendly obesity centre that caters to everyone’s requirements, irrespective of age and gender. There offer various programs that help people with weight loss including vacuum therapy, stomach flattening, muscle toning, and total body reshaping. AIWO is a part of the US $ 3 billion Siva group conglomerate. AIWO’s wellness program is the result of intensive research in countries like India, Italy, Germany, USA, Thailand, and France. It uses KEN™, a revolutionary, effective, and safe weight reduction technique developed by Professor Gianfranco Capello. Amaya Anti-aging Wellness Clinic aims to rejuvenate your lives by restoring your health, internally and externally. Their specialized techniques for weight reduction include complete non-surgical management of obesity/weight loss, medicated weight loss, HCG diet, and a combination of these technologies (zerona lipolaser, cryolipolysis, ultrasound, and radiofrequency). Stay away from diabetes, thyroid, hormonal imbalances, and increase your stamina and energy levels. Visit any one of these weight loss centers in Chennai now and transform your physical and mental strength. Remember, being fit is stylish, always!